Hyundai will close its oldest plant in China as early as next month due to plummeting sales in the world's biggest market. The automaker has suffered from declining performance since China's unofficial boycott of Korean products two years ago, which led to its factory operation being cut to half of capacity. Beijing Hyundai, a joint venture of BAIC and Hyundai, recently took voluntary redundancies of over 2,000 workers at its three plants in Beijing, and the workforce left at the doomed plant will be moved to the other two. "We don't have an exact timeline yet, but we are in the process of closing the outdated plant to adjust our capacity," a Hyundai spokesman said. "We haven't made a firm decision on whether to shut it down completely or not and will review what we're going to do with it." Built in 2002, the factory has a production capacity of 300,000 cars a year. 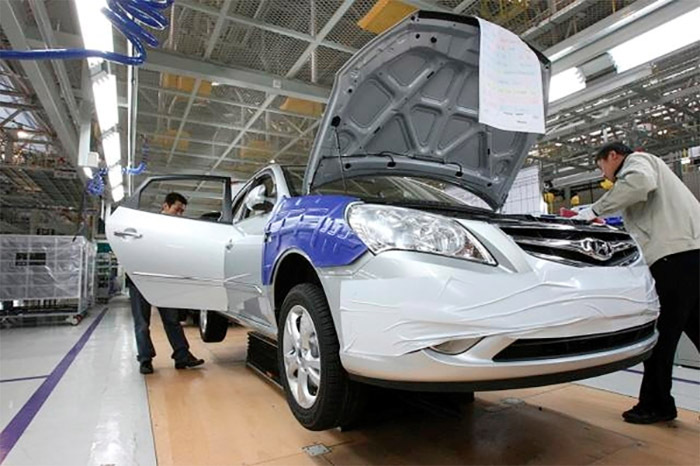 Beijing Hyundai increased production capacity to 1.65 million cars by building two additional plants in Beijing, and more in Changzhou and Chongqing. Its prime were the years between 2013 and 2016, when it sold over 1 million cars for four years in a row. But then the boycott hit, and sales plunged to 785,000 in 2017 and remained at 790,000 last year, less than half its production capacity, even though the boycott was gradually lifted. Even if Beijing Hyundai achieves this year's goal of selling 900,000 units, the operation rate is still on half. 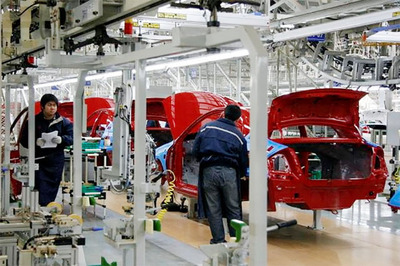 Lee Hang-gu at the Korea Institute for Industrial Economics and Trade, said, "To avoid making losses, plants should operate at more than 70 percent of capacity, so Hyundai has no choice but to close one or two plants in China."